The Banks Say No Way? Get the home of you dreams or the money you need now! Call Andre provides you with access to interest rates and mortgage products that are far superior to other mortgage brokers. Andre will get you great results quickly. You can count on him to handle your business. With over 10 years providing credit to his clients, Andre has proven that he can deliver results. Obtaining credit can be a humbling experience. Andre will guide you through the process. If your are a first time home buyer our team can help you! Watch the latest episode of the Call Andre TV series. Call Andre specializes in clients with bad credit and unprovable income. Because we have access to over 400 private lenders we can offer mortgages to clients that most other mortgage brokers can’t. These private lenders are people like you who choose to invest in mortgages instead of the stock market. They want to make a good profit and help other people, that through no fault of their own, have some credit or income issues. As part of our Call Andre service guarantee, we will find you the lowest rate available in the industry, on approved credit. 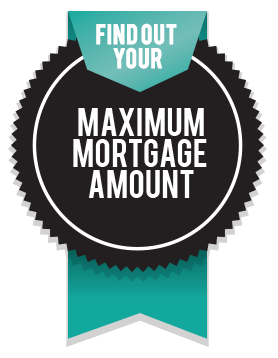 Our broker network has access to both fixed and variable mortgage products that blow the competition out the water! Whether you’re just a regular person building your dream home, an experienced builder planning a subdivision, or a business owner constructing a commercial building, our full-time in-house commercial specialist will give you the best chance possible to get you loan approved. Call Andre understands just how tricky these types of loans can be. We are one of the few companies in the industry with expertise to make it happen! Andre is dedicated to getting you the best mortgage. He has done my past two mortgages and helped show me how to clean up my credit. He's a great advisor who passes no judgment. Andre came highly recommended from my Real Estate Agent so I contacted him to help me with my mortgage. My partner and I are in the early stages of building a real estate investment portfolio and Andre was able to come up with several options that will enable us to keep investing and building that portfolio. Andre is a pleasure to deal with and is very professional. I would highly recommend him for your personal and investment needs, in fact I already have! Hi Andre, Just want to say a very BIG THANK YOU! You truly go the extra distance for your customers, keep up the great work! You will definitely continue to be successfully.